Sometimes it can be hard to tell if you need water damage cleanup, especially if you haven’t gone through a major tragedy like a flood or a burst pipe. Sometimes the water damage could be slowly coming from within the walls out of sight. Other times, there could be a small hole in the roof that is slowly allowing water in, but not showing a lot of damage. So in these cases, how do you know that there is a problem? If you suspect that you might be in need of professional water damage cleanup in Bentonville, call Courtesy Care to come out and give you a consultation. Until then, keep your eyes open for these signs of water damage. Soft spots typically pop up in rooms that are connected to a plumbing source like kitchens, bathrooms, or laundry rooms. If these rooms are not properly sealed around the plumbing areas or appliances, you might have moisture getting into your walls or subfloor. When this happens, the wood will start to break down and become soft. If you can feel any soft spots in the walls or you feel yourself sinking when you walk in certain areas of these rooms, you should call a professional for water damage cleanup right away. These can be serious problems. You could even have an appliance like a toilet eventually fall through the floor to the room below, which is dangerous and could be very embarrassing. Sometimes you might have water entering your home but you don’t see it because it is such a slow leak. 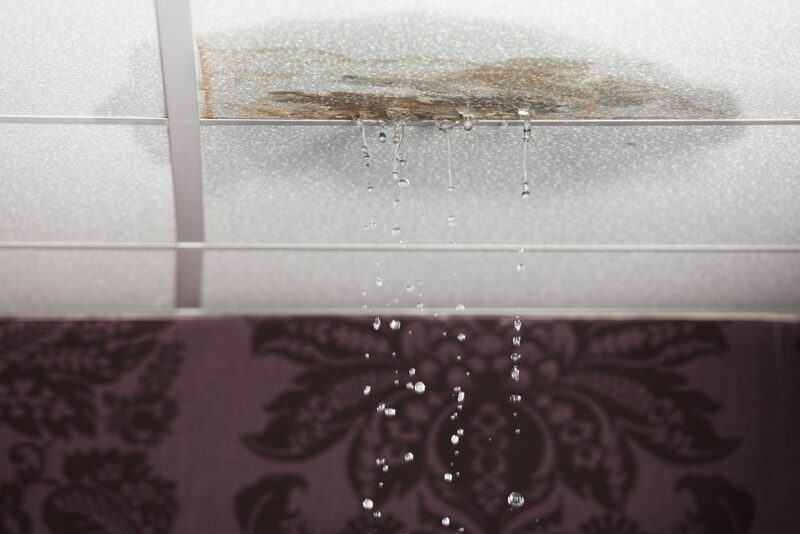 Many times roof leaks will start showing as a stain on your ceiling that is an indicator that water is slowly coming in and spreading. You could also have water trailing down your walls from the ceiling causing wrinkles. The water can get under the paint in the walls and drag it down, saturating the wall. These small leaks almost always turn into big leaks if you don’t have a professional water damage cleanup company come out to fix it. 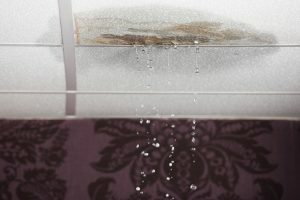 Another good indicator that you have some kind of water damage going on is mold in your home. Sometimes you can’t always see the mold growth in your house, but you can usually tell in other ways. Sometimes you can smell an earthy odor in your house even if you have everything spotlessly clean. You might also develop headaches or respiratory problems if you spend an extended amount of time in the areas with mold. If you do see the mold growth in your home, call a water damage cleanup professional right away and don’t touch it. You could release the spores into the air, which can be very bad for your health. Water damage can be a big deal. It can spread throughout your home and it can even be dangerous if you don’t get it taken care of. If you have any suspicions of water damage in your home in Bentonville, call a professional to check it out and give you a consultation.